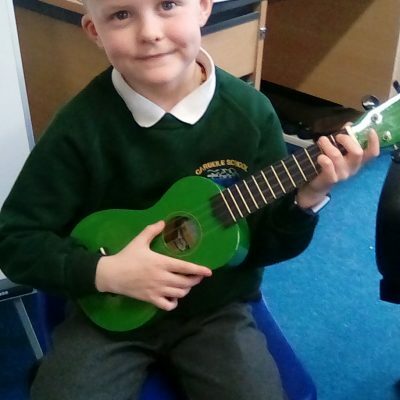 This half term, we have been learning to play the ukulele in Trewortha. We have enjoyed learning the different chords with Mr Fields and he even taught us how to play the song ‘Just the way you are’ by Bruno Mars. 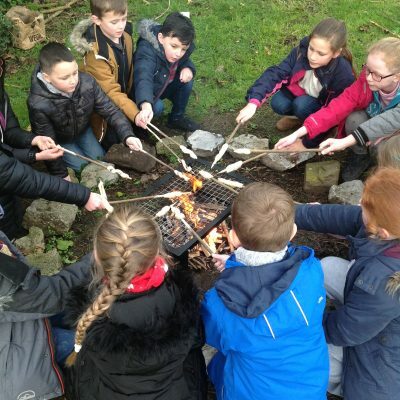 Year 3 decided to take advantage of the beautiful, winter weather and enjoyed English outside. 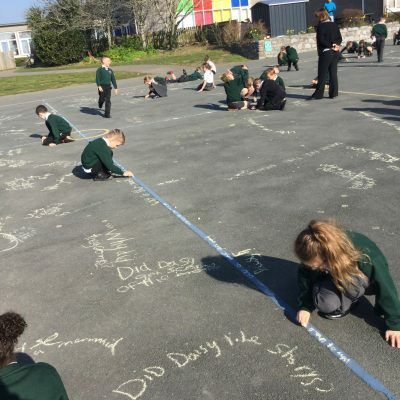 Using chalk, we shared our likes, dislikes, puzzles and patterns about the story ‘The Beasties’ that we have been learning about in English and Reading Skills. We then brought all our ideas together in our classes. Today we enjoyed making bread like they would have originally made it and baking it on the fire! 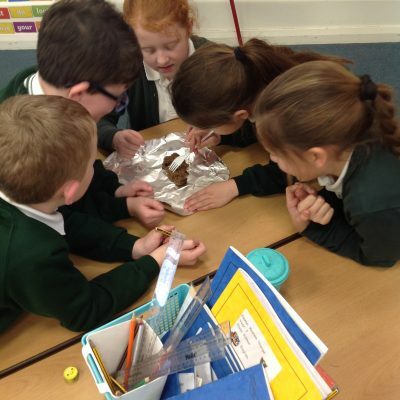 As a year group we enjoyed dissecting Stone Age poo to see what they ate! 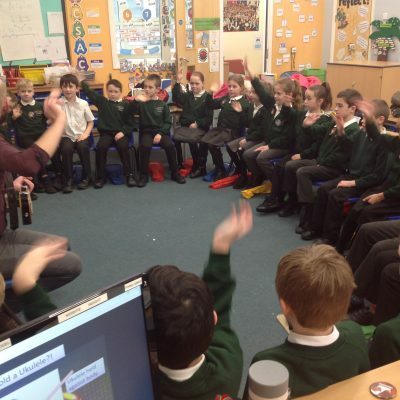 It was fascinating – they ate lots of bones, nuts and seeds. We enjoyed our first Ukulele lessons with Mr Field! We had so much fun learning how the Torpoint Ferry works. We even got to drive it! We were very grateful to use our local surrounding area to inspire some creative writing and sketches. The children were beautifully behaved and thoroughly enjoyed discovering the fairy houses! We had a wonderful time creating sand art and experiencing the great British weather (which was very kind to us) on Looe beach today! The children’s behaviour was complimented by members of the public and they did the school proud! We had lots of fun today making links between The Romans, PE, Geography and maths to solve clues to find the next point on the maps. We have had a great day learning about The Romans. We learnt a song, made Roman and Celt houses, and made Roman bread for our afternoon feast. A great launch into a great topic!